It was asked in the previous post if Killgrave ever interacted with his daughter Kara. This is to the best of my knowledge the only issue that they did, and it's kind of weird. 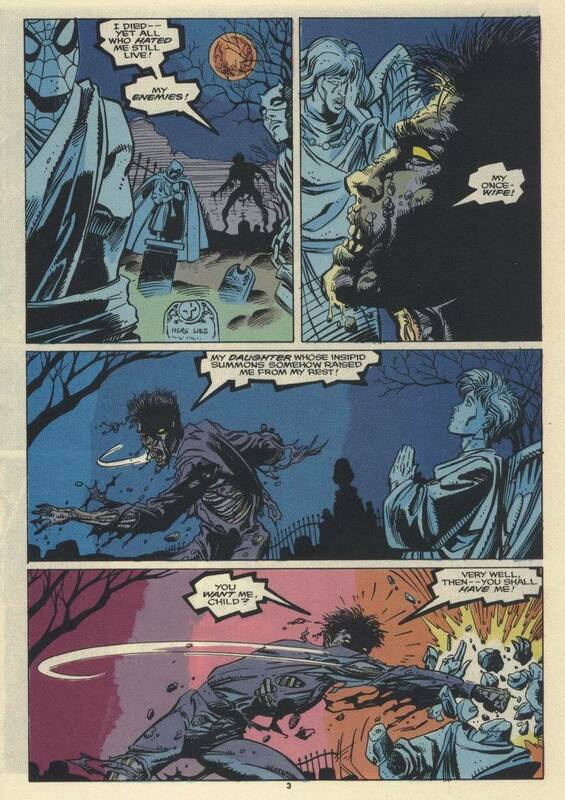 Killgrave had 'died' during the events of 'Emperor Doom' and here he returns as a zombie. 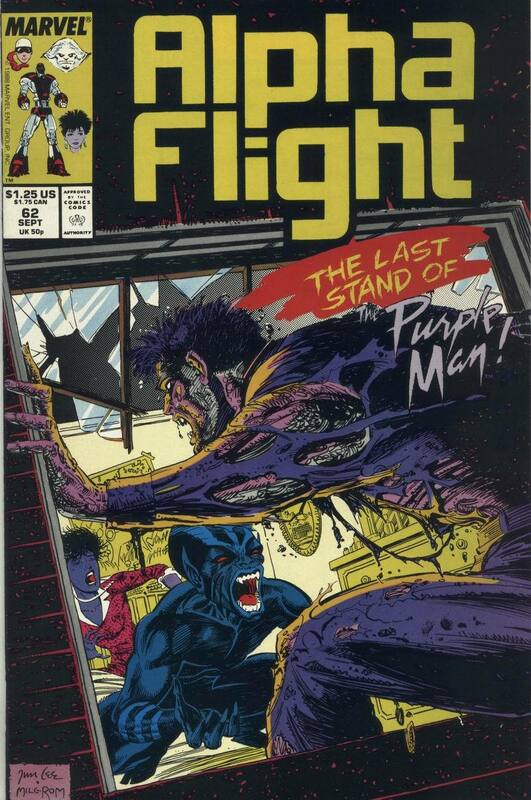 Of course as we all know Purple Man is alive and well in the comics currently and the exact status of how much this issue actually happened is up for debate. From what I can tell much of this was later revealed to be machinations of the Dreamqueen but how far that goes I don't know. One source said that the entire issue is a 'dream', an other said that this is the real Killgrave but he's still alive and his appearance and mindset is part of the Dreamqueen's glamour and manipulations. 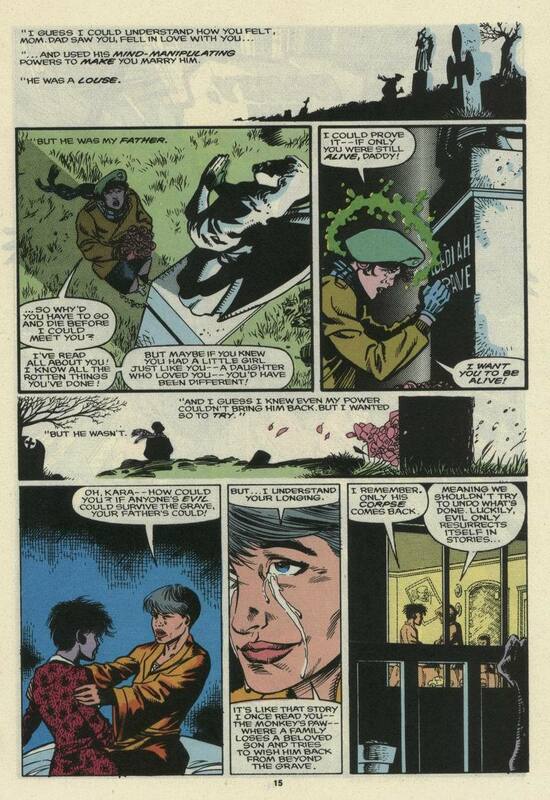 The issue opens with Killgrave rising from the grave. 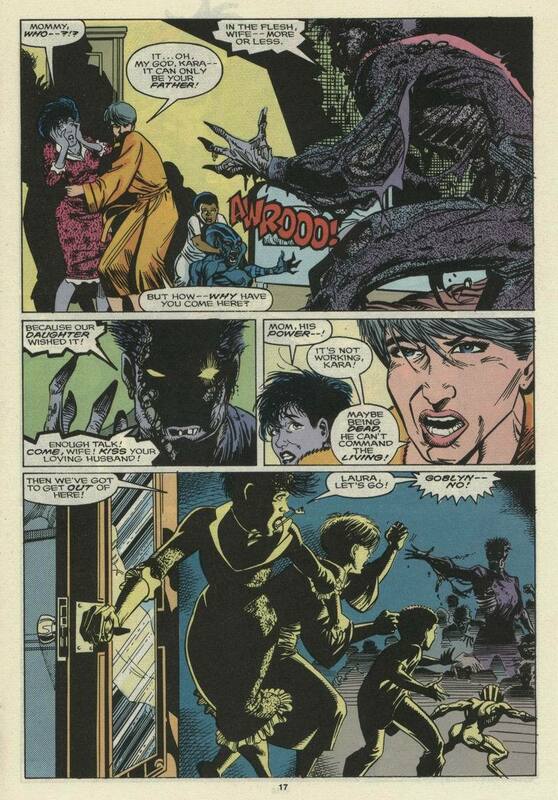 Purple Man can longer control the living but he can command the dead and he now has an army of zombies with him. Yeah. She manages to start a fire which consumes her father. 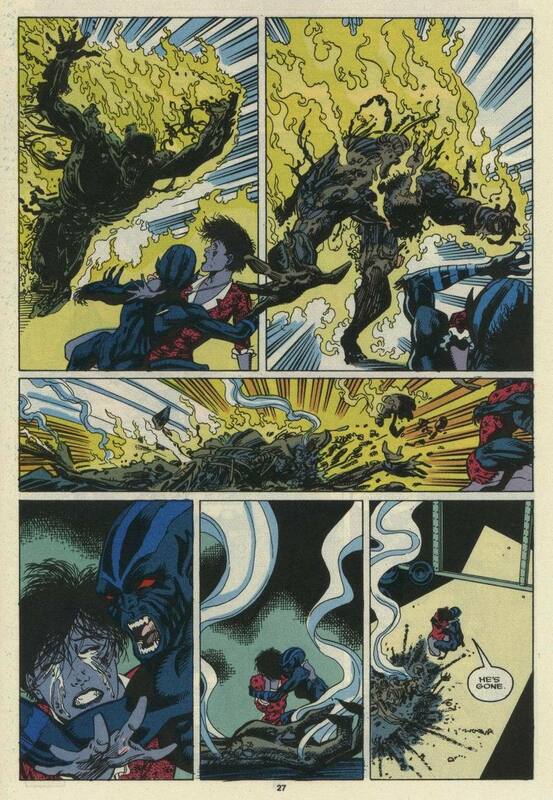 After this Killgrave resurfaced in the 90s alive and well in X-Man where he tried using Nate's powers to rule the world. 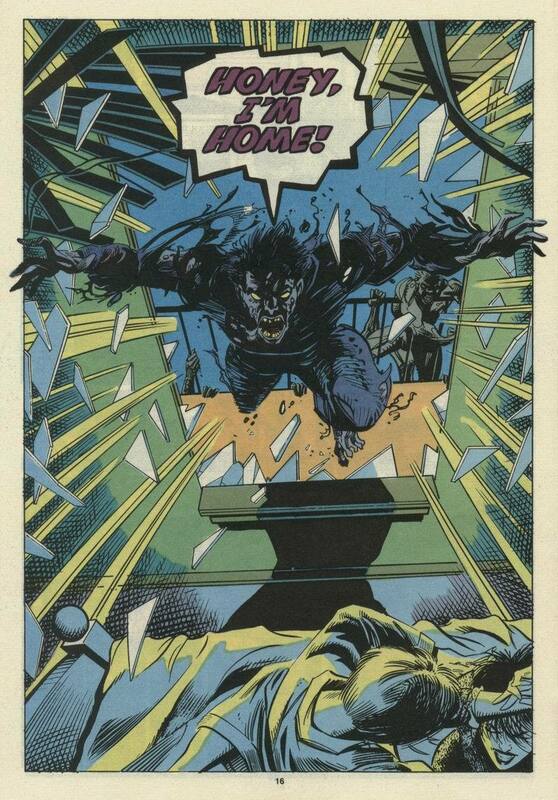 After that he was in limbo more or less until a certain Jessica Jones entered the picture and the rest is history. 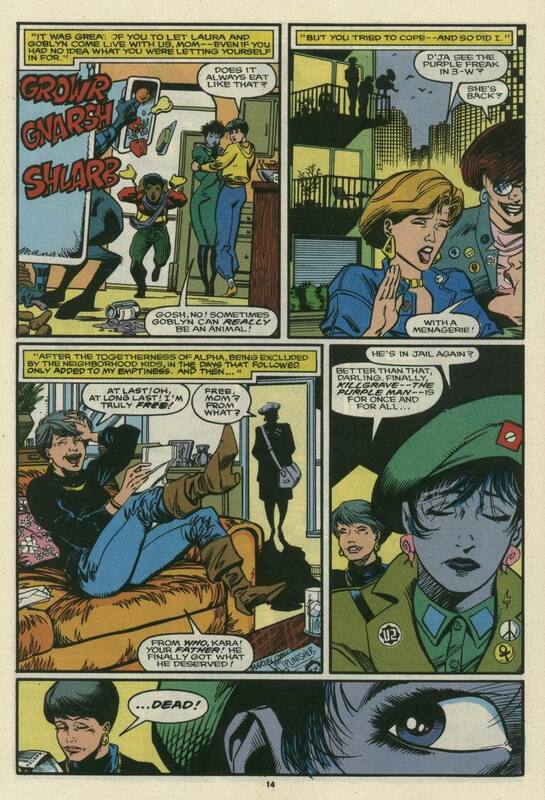 It's always struck me as weird how Alpha Flight lasted as long as it did (Wikipedia says 130 issues!) yet, as far as I can tell, has barely any real following among fandom or made any real impact on Marvel, beyond the thing with Northstar's homosexuality. Is there any other title where there's this much of a chasm between its success and its legacy? I miss the Beta Flight. They deserve better than being in limbo, depowered (?) or turned into villains. I especially liked Manikin, whose future avatar broke the 4th wall before Animal Man, and Goblyn, who was more savage and inhuman than Wolverine, or even Penance.